Program offering up to $500 per channel on purchase of new Shure wireless microphone and personal monitor systems runs out on October 31. The Shure 600 MHz wireless rebate program has been extended through October 31, 2018. Shure has announced that its 600 MHz wireless rebate program has been extended through October 31, 2018. 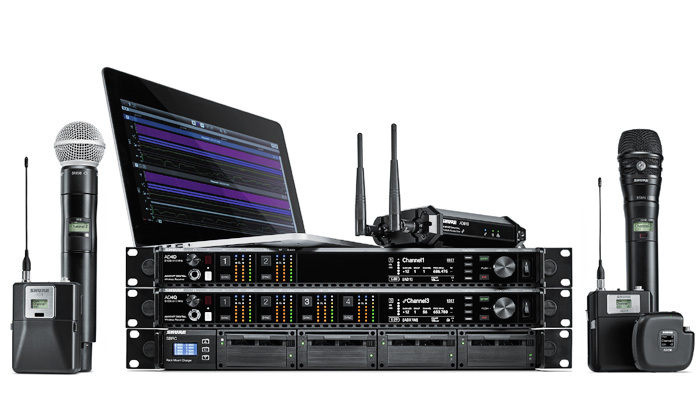 The rebate offers up to $500 per channel on the purchase of new Shure wireless microphone and personal monitor systems accompanied by the trade-in of wireless systems operating in the 600 MHz frequency band (614-698 MHz). Products from Shure and from other wireless manufacturers are eligible for the trade-in program. The extended rebate is intended to help wireless users adapt to changing conditions resulting from the reallocation of portions of the 600 MHz band to mobile broadband services. Customers may submit rebate forms after the purchase of the following new Shure wireless products: BLX, GLXD and GLXD Advanced, PGXD, PSM 300, PSM 900, PSM 1000, QLXD, and ULXD, and Axient Digital. Go to www.shure.com/wirelessrebate to download a rebate form and view a complete summary of the terms and conditions of this rebate program. For more information about spectrum changes, go to the Shure Incentive Auction Resource Center.